Released on: April 3rd, 2017. 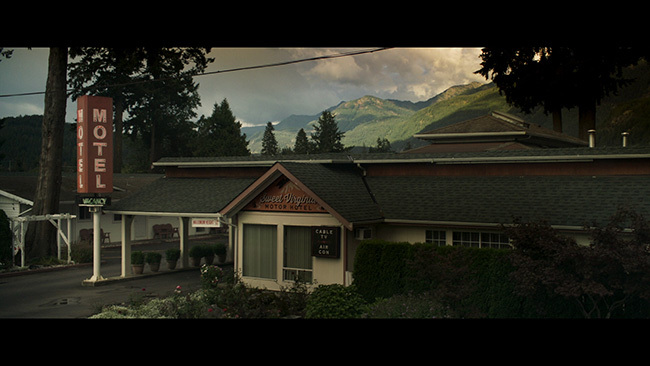 Elwood (Christopher Abbott) walks into a small-town watering hole late one night, not paying much mind to the fact that it’s closed. Here he encounters three men at a table who send him away. He goes but comes back shortly after with a gun and shoots them all dead. As it turns out, Lila (Imogen Poots), the wife of one of his victims hired Elwood to do what needed doing. She figured she’d get some money out of the deal, but her dearly departed’s lawyer gives her some bad news – he was broke… and now she can’t pay Elwood. Meanwhile, a hotel owner named Sam (Jon Bernthal) is having a fling with Lila’s mother Bernadette (Rosemarie Dewitt). As it would happen, Bernadette is the widow of one of the men that Elwood, who is staying in Sam’s hotel, shot dead in that bar earlier in the film. When Elwood recognizes Sam from his pre-rodeo days, the pair strikes up an unexpected friendship, but as the truth about the murders that Elwood was responsible for come to light, things take some interesting – and violent – turns. 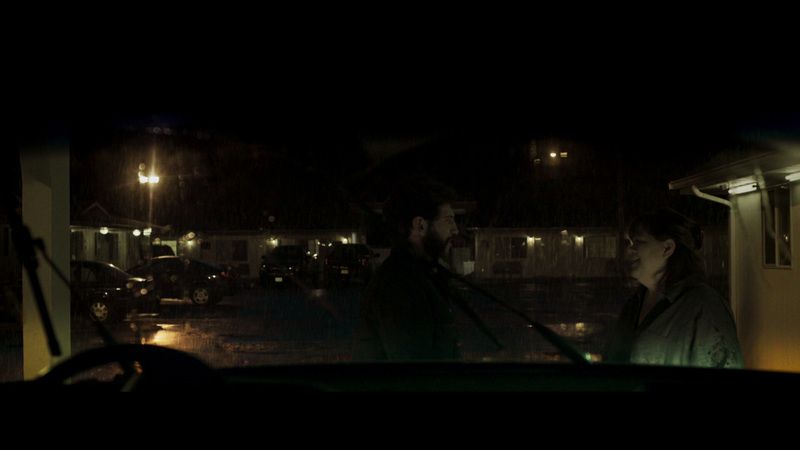 Sweet Virginia opens with a bang and then from there shifts into considerably more quiet character development mode. As the movie explores Elwood’s character we realize he’s not a man to be messed with. He’s got a hot temper and will more than willingly strike back at even simple provocations. While he’s not a flat-out psychopath, he’s definitely unstable and the fact that Lila doesn’t have the money she owes him just adds fuel to that already substantial fire. Christopher Abbott, who was quite good in It Comes At Night, does a fine job in his role here. Elwood stands in contrast to Sam who is considerably more calm, cool and collected. If Elwood likes confrontation and even gravitates to it, Sam wisely tries to avoid it, preferring to live a quiet life. Jon Bernthal is an interesting choice to play the part, given that he’s known best at this point for playing Shane on The Walking Dead and for playing Frank Castle on Daredevil and then The Punisher – both of which were very much ‘tough guy’ roles. Sam’s a tough guy in a sense, he’s willing to do what needs to be done to defend himself and those he cares about, but it’s hard to imagine him taking things to the extremes that The Punisher would. Bernthal is really good here, showing solid dramatic range and creating a softer, more human character that you might expect. Supporting work from Imogen Poots, who was fantastic in Green Room, and Rosemarie Dewitt, who was okay in the otherwise lame Poltergeist remake, is also quite good. That said, the story by Benjamin and Paul China is a bit too predictable, at least in terms of how it ends. By the time we get to the inevitable confrontation, it isn’t too tricky at all to figure out where it’s headed. Director Jamie M. Dagg does a decent job with the pacing and the production values, for a film made on a modest budget, are solid. A decent movie by most standards, but a few steps away from a great one. Shout! Factory presents Sweet Virginia on a 25GB Blu-ray disc in an AVC encoded 1080p high definition transfer properly framed at 2.40.1 widescreen and it looks very nice. The digitally shot feature is pristine, as it should be, while fine detail is strong for the duration of the picture. Color reproduction is great and skin tones look nice and lifelike. There are strong black levels as well. No complaints, the movie looks just fine on Blu-ray. An English language DTS-HD 5.1 Master Audio track is the main option here, but it’s quite strong. The action scenes make the most of the surround channels while there’s decent LFE action present throughout. The score sounds strong without burying the performers while dialogue remains nicely balanced. An optional DTS-HD 2.0 track, also in English, is included as are optional subtitles in English only. Outside of a few trailers for unrelated IFC/Shout! Factory properties and some menu screens, there are no extra features on this release. 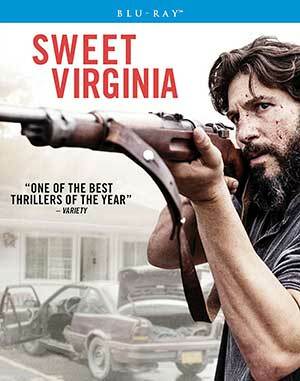 Sweet Virginia is a decent enough picture. The acting is strong and the direction more than competent. It’s just a bit on the predictable side. Shout!’s Blu-ray release looks and sounds just fine but comes up empty in the extras department. Bernthal devotees will want to check it out for his performance alone, everyone else… save it for a rainy day.